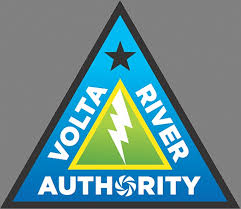 Energy sector players want government to expedite processes in the decoupling of thermal assets management from the Volta River Authority (VRA). They argue that a further delay of the process will hamper efforts to reform the energy sector for efficiency. Deliberations are underway with relevant stakeholders over plans to limit VRA’s mandate to the management of hydro plants by selling off the thermal plants to a private entity. The decision has faced stiff opposition from staff who complain of little consultation. However, speaking at this year’s annual conference of the Society of VRA Engineers, the Managing Director of Tullow Ghana, Charles Darku stressed that expediting the process will be critical for the growth of the energy sector. Already, other industry watchers have advised government on the need to tread cautiously and address all labour concerns during the process. This they believe will rid the plan of any major resistance when eventually rolled out. The conference of the VRA engineers was on the theme, “Transforming Thermal Generation Business through Restructuring and Financing”.